KIEV, Ukraine - Khrystyna Stoloka (18) was crowned Miss Ukraine 2015 at the October Palace in Kiev on September 25. She will represent Ukraine in Miss World 2015 in Sanya, China on December 19. Elina Rudenko and Feride Ibragimova finished in second and third place, respectively. 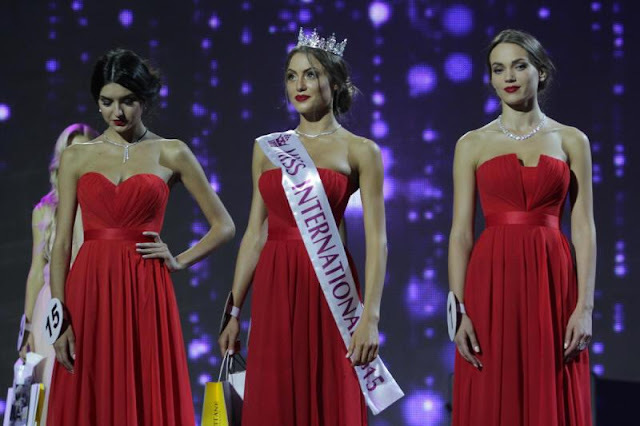 Marharyta Pasha was crowned Miss International Ukraine 2015 and will compete in Miss International 2015.